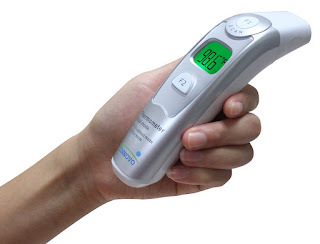 What do you think of this Forehead and Ear Thermometer? The only thermometer that your child will ever need. Measure temperature via forehead (suitable for all ages) or ear (recommended for children under one year old). Available to only pediatricians and professionals previously, we are now bringing this technology to you. Try out the #1 trusted baby thermometers by Pediatricians. Requested Nov 8th, arrived Nov 26 - took less than 3 weeks to arrive.